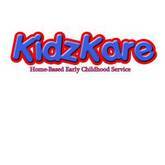 Kids Kare School Inc is a family owned company that owns and operates a chain of child care centers. Kids Kare School was established in the year 1960 starting with just one centre which served 14 children only. The company has grown tremendously since then to become one of the leading institutions offering child care with 11 centers which serve the residents of Clovis, Madera and Fresno areas. Child Kare Schools offers child care to kids aged from 18 months to 12 years. Kids Kare Schools Inc is located In Fresno, California, USA. There are currently 0 consumer reviews about Kids Kare Schools Inc. available. Share your review. Please take a note that you are about to post a public review about Kids Kare Schools Inc. corporate office on CorporateOffice.com. This review will be public, so please do not post any of your personal information on this website. If you would like to contact the corporate offices of Kids Kare Schools Inc., please use their contact information such as their phone number, website, and address listed above to contact them. However, sometimes staff from Kids Kare Schools Inc. headquarters do read the reviews on this website.